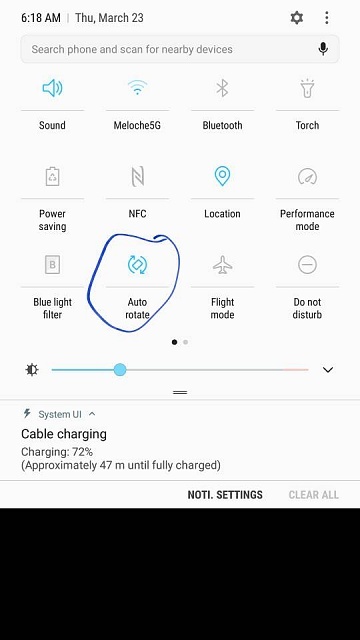 Did an updat on my s7 and now the auto rotation for the screen option is gone. If your looking for for the option some of my items for mixed up after the update. Also, you might need to add it. After you pull down twice you can tap on the 3 dots in the upper right and then edit. Scroll all the way down to the bottom and see if it is there. There could be additional items you might want to add as well. How do I capture a screen shot on Samsung Galaxy 7?